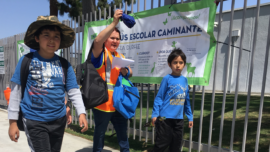 Alta worked with the City of Pico Rivera on a two-year Safe Routes to School Non-Infrastructure project. The program serves all 11 elementary and middle schools in the community. Alta managed a full branding development project, resulting in an appealing suite of visual materials that are easy for parents and partners to understand and respond to. 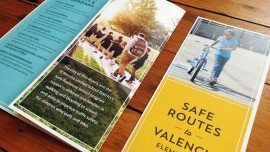 As part of the project, Alta has created school walk and bike route maps and brochures for each of the 11 schools, along with posters, flyers, and branded incentives. Alta led walk audits at each school, and writing infrastructure plans suitable for use in grant applications. 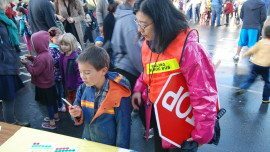 A citywide task force was formed and met bimonthly to research policy issues, advise the project team, and create a permanent framework for Safe Routes leadership in the future. Parent working groups were formed at every school, and Alta worked with these teams to implement parent-led walking and biking encouragement programs. Recommended route maps, parent brochures, a project website, and a project map were developed. Baseline handraising surveys were implemented at each school to evaluate the mode shift impact of the program. 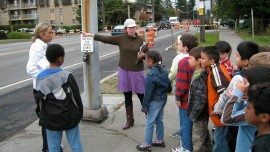 These visioning exercises helped the city identify existing walking and bicycling patterns, perceptions of and attitudes toward bicycling, routes currently used for biking and walking and why, and barriers that prevent families from walking and biking more often.